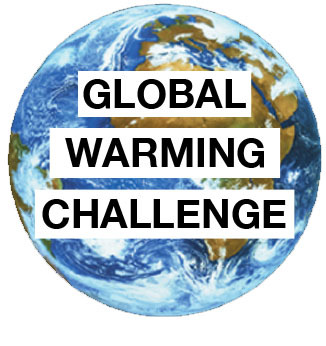 Scott Armstrong of the Wharton School challenges Al Gore $20,000 that he will be able to make more accurate forecasts of annual mean temperatures than those that can be produced by climate models. Scott Armstrong’s forecasts will be based on the naive (no-change) model; that is, the forecasts would be the same as the most recent year prior to the forecasts. The money will be placed in a Charitable Trust to be established at a brokerage house. The charity designated by the winner will receive the total value in the fund when the official award is made at the annual International Symposium on Forecasting in 2018. To determine the progress and outcome of The Challenge, we use the UAH (University of Alabama at Hunstville) lower troposphere series because it is, (1) fully disclosed, (2) global due to the comprehensive coverage by satellites, (3) avoids local effects such as encroachment by buildings, tarmac, and other heat sources, and (4) avoids inconsistent measurement such as move from mercury max/min thermometers to faster responding electronic systems in recent decades and the elimination of many sites. A disadvantage for some purposes is that is only 3 decades or so of data, but that is not a problem for The Challenge. The IPCC rely on the Hadley series, which fails on all 4 of the above criteria, as does the NOAA series which uses a similar approach. We nevertheless used the Hadley series in our published papers to test the IPCC predictive validity. Hadley (University of East Anglia and the UK Met Office) take manually recorded temperatures from 1850 from various selected locations around the world and then adjust them. Temperatures over oceans are traditionally measured by throwing buckets over the sides of ships. Both the selection of locations and the adjustment process are not fully disclosed. For more about Professor J. Scott Armstrong, see his homepage.